The castle in this novel, once the home of Count Spork, just outside “the little town where time stood still,” is now a retirement home, residence of elderly pensioners given much freedom to lead comfortable lives, along with a number of old pensioners who need kindly delivered terminal care. “Rediffusion boxes” playing “Harlequin’s Millions” are on the walls everywhere, both inside and outside the castle, and everyone who hears this tune is “entranced” by its “melancholy memory of old times.” The unnamed speaker, the wife of the former owner of a brewery, her husband Francin, and his older brother “Uncle Pepin,” have come to the castle as residents late in life, after losing their brewery when the communists took over in the aftermath of World War II. The speaker, for thirty years an independent and beautiful local actress, has felt at home among the wealthiest residents of their community, and though she is now elderly, toothless, and poor, her changed condition barely fazes her. Still independent in spirit, she embraces her new surroundings, explores them with enthusiasm, and enjoys hearing the stories of other residents at the castle and the history of their much earlier predecessors from as long ago as the seventeenth century. 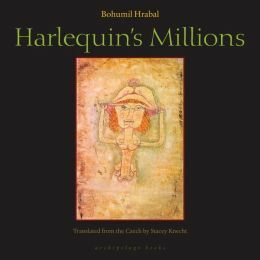 Author Bohumil Hrabal, a captivating story-teller whom many consider the Czech Republic’s best novelist, brings to life the real town in which he lived for many years. 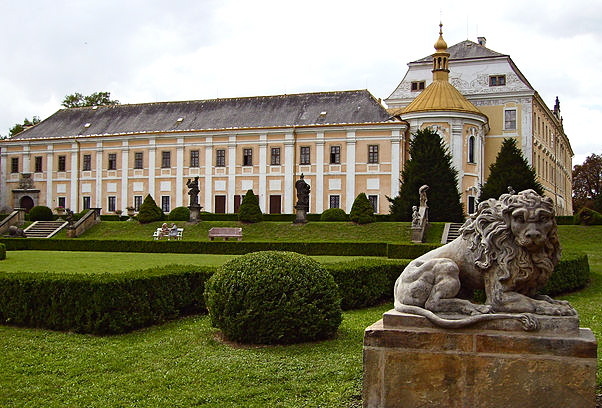 Nymburk, in Central Bohemia, has featured in many of his novels, and the real castle of Count Spork exists just a few miles from its center. A lifelong resident of the Czech Republic, Hrabal does not dwell on the horrors of war and its aftermath, on sudden changes of fortune, on evil plots, or, in the case of this novel, on the misery of old age and the approach of death, preferring instead to see the world with a more optimistic attitude, and with a sense of humor even in the midst of sadness. The result is a novel of great universality and wit, told with a confidence that comes from total familiarity with his setting and subject matter and with a brio that engages the reader from the opening page. Hrabal is an honest writer describing real life, a writer without pretensions whose primary interest is in engaging the reader in a “discussion” about his characters and their lives. It is through this “discussion” that the reader, seemingly by accident, comes to understand Hrabal’s much larger ideas and themes about the continuity of life. Outwardly plotless, the novel begins when the speaker first arrives at the castle. 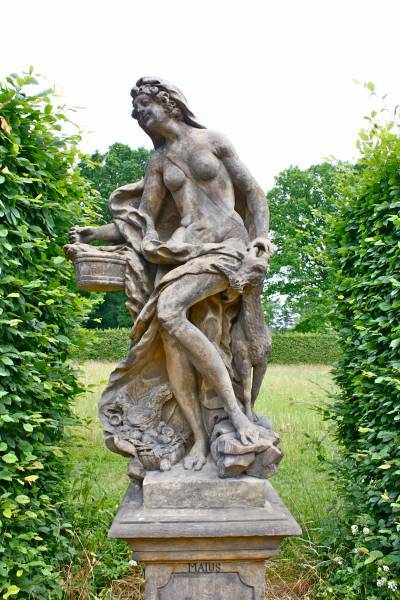 When she goes exploring, she discovers that behind a wire fence, which she ignores, is the statue of a naked young woman glorifying the month of May, one of twelve such statues representing the seasons and months of the year. Eventually, she discovers that “what connected these statues had some deeper meaning, that in fact…all these statues represented the entire human race, in all its phases, and together they formed what we call nature: spring, summer, fall, winter…I was standing there in front of the statue of May when suddenly I knew that I had needed to arrive at this point, just as I am…I could see that the sandstone statues formed a kind of novel, the tale of someone who had been waiting here for me…” Hrabal’s novel is the revelation of her discovery. 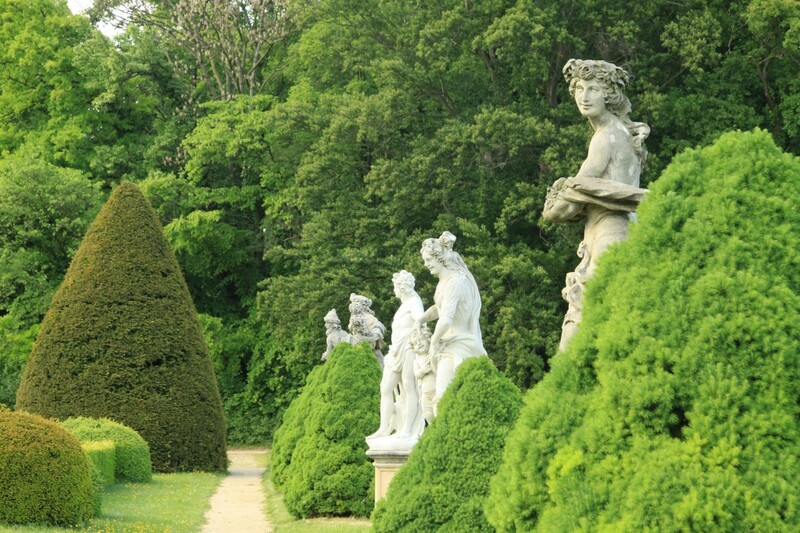 Statues representing the twelve months and the seasons are displayed in the garden of Spork Castle. The reader’s emotional response to the main character interweaves with factual information, making the novel both a joy to read and a poignant commentary on the passage of time. The speaker’s story of her failed attempt to open a perfume shop explains the vicarious joy of some of her fellow retirees at her failure, but it also illustrates the commitment of her husband Francin. As the reader comes to share the speaker’s life, s/he also understands that “the [pensioners] have no place to go, many of them will simply stand around looking at the open gate, they could go anywhere they wanted,” but fail to do so.